The Bachelor Spoilers: Did Chris Soules Get Winning Bachelorette Pregnant – Pregnancy Test Determined Who Won Season 19? The Bachelor 2015 spoilers discuss rumors that Chris Soules got the season 19 winner pregnant and that forced him to give his fiancee the final rose. Could who won The Bachelor Season 19 have been determined by the result of a pregnancy test after a one-on-one date? Did The Bachelor Chris Soules get a contestant pregnant this season, and will this end up in a shotgun Bachelor wedding? It would be a first for the show, but it would also throw the producer’s plans into a curve ball and cause one of the biggest scandals that the show has ever seen. Yeah, even if the alcohol was flowing loosely, there’s no WAY the producers would let something that unscripted happen – unless it wasn’t unscripted, of course. I wouldn’t put it past the show to try something like this to boost ratings, and it would also explain the bait-and-switch the producers seem to be playing with the winner. Although Reality Steve announced a while back that The Bachelor 2015 winner would be Whitney Bischoff, we’re hearing now that Reality Steve might have been wrong. What if Chris had intended to choose Whitney, but had to change his choice after a surprise pregnancy? Or what if Chris Soules had to pick Whitney because she was pregnant? Then again, I think the whole thing is extremely unlikely, and I don’t think a surprise pregnancy – and much less a shotgun wedding – will end up taking place. Do you guys agree? Let us know your thoughts in the comments below. Come back to CDL for all of your The Bachelor 2015 spoilers, news and rumors! 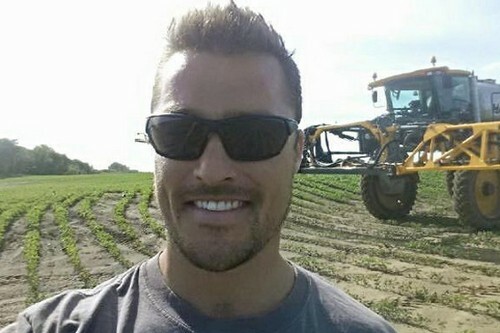 The Bachelor Spoilers: 2015 Winner Chris Soules’ Fiancee Revealed – Who Won Season 19, Did Reality Steve Blunder? The Bachelor 2015 Spoilers: Does Ashley Salter Win – Chris Soules Picks A Surprise Winner and Fiancee?